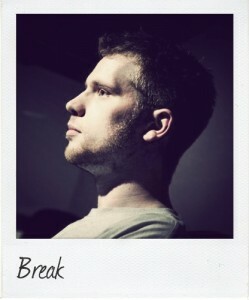 In just five years, producer Break has accomplished more within the world of Drum & Bass than most producers will achieve during their whole career; not only due to the sheer number of releases, but the overall quality, impact, and influence they have made. His new album, Symmetry, which is out now on his Symmetry Recordings imprint, serves both as a professional stepping stone as well as a bit of a personal one in terms of being an artist: ”I wanted to put a collection of tracks together that show some of the different styles of Drum & Bass that I like to make”, he says, ”it’s always hard to sit down and try and make the best tune you’ve ever done; because there’s an album coming, some of my best tracks have happened when you don’t expect. I just tried to pick the tracks that were my favourites, some I’d sat on for a few years, because they felt more like album tracks than singles”. Symmetry proves, most importantly, that this producer has no plans of slowing down the momentum he has going, and is a force to be reckoned with. Though the popularity of his music has allowed him to be signed to some of the most well-known and respected labels within DnB (seriously too many to mention), he made the important decision to release the album on his own label, versus going through an imprint with whom he has a previous a working relationship. ”I did get some offers to do an album for some other labels, but since I had started Symmetry Recordings and the 3 releases had gone well, it made sense to do it myself. I was able to keep all of the creative control, and being a bit of a perfectionist it was great to be able to call all the shots from design to track choice, etc”.